How can two artists collide and return changed but whole? How can two individuals encounter and converse over their differences with or without words? How can we express both explicitly and implicitly what each of us really cares about? 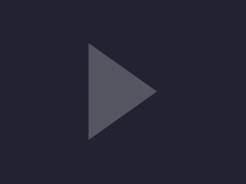 The creative process with each collaborator has and will continue to be partly visible to the public, and interdisciplinary collaborations will result in videos, installations, and other material that will contextualize each encounter. Not every participating artist will be performing a duet in classical sense, tour with Eiko, or be seen live by audiences. Collaborating artists will be of different colors, ages, cultures, languages, professional and artistic fields, ways of life, and training. The list of possible participating artists includes David Brick (choreographer); DonChristian Jones (musician, visual artist); Ishmael Houston-Jones (choreographer, performer, curator, arts activist); William Johnston (photographer, historian); John Killacky (video artist, retiring Flynn Theater director, and Democratic candidate for Vermont House); Liz Lerman (Choreographer,writer, and speaker); Mark McCloughan (dramaturg, poet, performer); Alexis Moh (filmmaker); Daphne Geismar (graphic designer); choreographer/performers Sarah Skaggs, Merián Soto and Chitra Vairavan. When two living artists work together it is a celebration of living, foreseeing the time when one of the two inevitably dies and becomes a memory of the other. Eiko will also work with artists who have passed away: poet CD Wright (1949-2016); Japanese writer Kyoko Hayashi (1930-2017), whose work Eiko translated; painter Chikuha Otake (1878-1936), her grandfather; and Sam Miller (1952-2018), poet, curator, and producer. 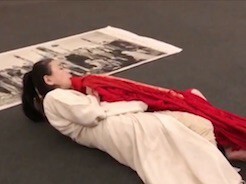 In-progress showings and conversations have occurred during Eiko’s creative residencies at Wesleyan University in CT; The Cathedral of St. John the Divine in NYC; the Robert Rauschenberg Foundation on Captiva Island, FL (November 2017); Cassilhaus in North Carolina (July 2018); and/or in presenters’ own communities. The end result will be a durational, mutable, interdisciplinary program of duets designed for non-theatrical spaces, scheduled to premiere at the 2019 American Dance Festival in Durham, NC. 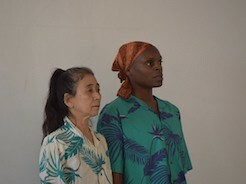 Eiko will also work closely with presenters and curators to seek advice about performance sites and potential encounters specific to their communities.